This compilation album was made to honour and promote the cultural enhancement of our Western Europeon society brought to us in Brussels by talented and driven musicians, we want to draw the attention to the status that refugees have been reduced to in our countries. Diginity is not a luxury. The artists on this album were introduced to us by Els Rochette and Olivier Debehogne from Globe Aroma and by Rudi De Bleser from the Open Refugee Centre in Kapellen. Globe Aroma is an urban non-profit organisation that strives to promote the cultural riches of refugees, asylum seekers and newcomers. This album is dedicated to Xandinho aka Big X, wherever you are ... and to all refugees worldwide. First recorded for the album BARRICADE by Jaune Toujours. 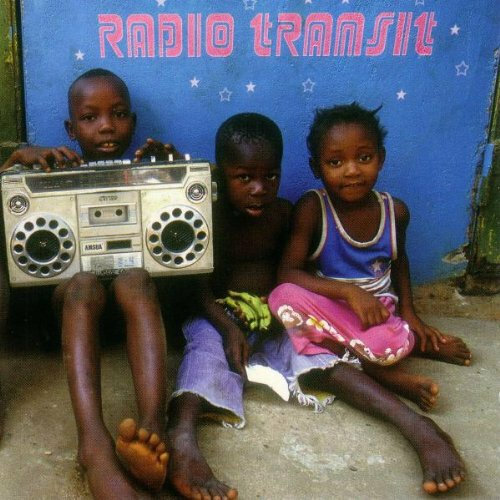 The special radio transit remix features Samson on Krar, Charles Blackman and Sillah as backing vocalists, Viktor on guitar and the mc Big X. Hip hop. Afrozquas are rappers JSP and SL (originally from Angola) and DJ Goofstarr. Lyrics in Lingala. Reggae blues. Frontman Jupiter used to be a member of the succesfull Senegalese hiphop formation Jef. With Lamp Fall Sarafina he explores a more spiritual style of music that suites his convictions of simplicity and modesty. Roots Rock Reggae to bring a positive message for all humanity no matter what race or social situation. Jah rastafari, Equality for all humanity. No Entry is dedicated to all refugees who leave their country for any reason. they're looking for a peaceful life, which should be a basix human right. In memory of Roel Goyens who mixed this song with Rootman J. Rather than relying on the stereotypes of Congolese music, Kinch searched for a style of his own. He mixes traditional rhythms from central Congo with elements from blues and jazz and calls it Kibuyu. His songs often talk about violence, hope and freedom. They're a call for tolerance. Samson from Eritrea and Samual from Ethiepia became friends in Belgium. Together they compose and perform music rooted in the Eritrean tradition. They built the Krar used on this recording out of waste wood. Gypsy songs from Slovakia. Katia and Mielka are two young Romani singers. In the band Mec Yek they are joined by musicians from Jaune Toujours. They play songs from the Rom repertoire in a fresh approach. Calypso reggae from West Africa. Charles Blackman's songs speak about freedom for the people, about Jah Almighty and somtimes about love, which is the key to life. Evil Men is about bad leaders and terrorists. Reggae. Sillah formed the band with African and Belgian Musicians. His songs deal with African issues and the need for justice in the world. KINCH: Congolese party music with blues and jazz elements. SAMBA DJANGO: Desertblues in the Peul tradition. SAMSON & SAMUEL: Ethnic, traditional music from Eritrea.